National identity cards are in the news. While paper ID documents have been used in some countries for a long time, today's rapid growth features high-tech IDs with built-in biometrics and RFID chips. Both long-term trends towards e-Government and the more recent responses to 9/11 have prompted the quest for more stable identity systems. Commercial pressures mix with security rationales to catalyze ID development, aimed at accuracy, efficiency and speed. New ID systems also depend on computerized national registries. Many questions are raised about new IDs but they are often limited by focusing on the cards themselves or on "privacy." Playing the Identity Card shows not only the benefits of how the state can "see" citizens better using these instruments but also the challenges this raises for civil liberties and human rights. 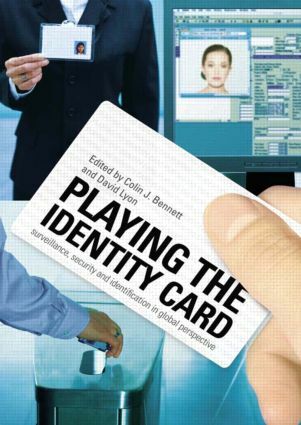 ID cards are part of a broader trend towards intensified surveillance and as such are understood very differently according to the history and cultures of the countries concerned.